They approached the village loading up there poisonous darts into there handheld crossbow, simultaneously the soldiers protecting the village nearby patrolled here several of them. With a signal from Kaos, he signaled them to fire at would, darts flew in many directions but hitting the soldiers in the neck; they did not see his coming for they made not a sound through the rain and wind; they did not know what hit them. 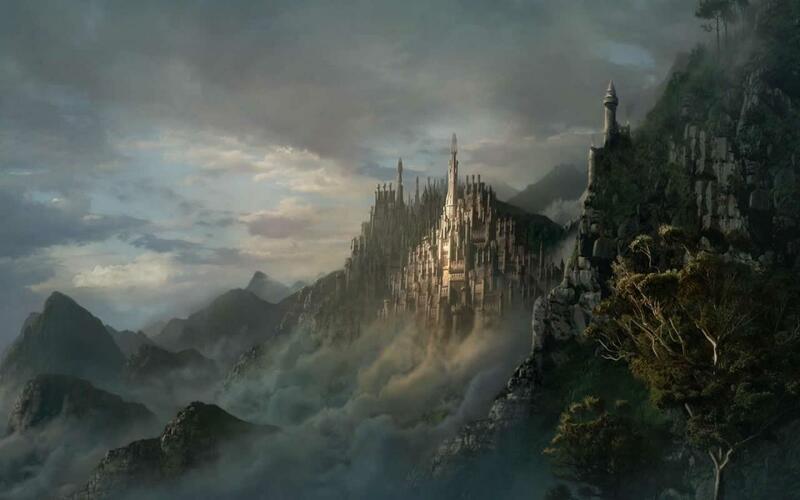 They came on hard there swords in hands now as they slit there throats on the way in and then calling fourth the wizards they brought them back and ushered them away from the village to drop off some large nearby cliff before they release them from there hold. The ground below splits open as a monster came upon the surface, a large monster with flames that seem to spread upon his body a hellish creature something from the lower planes of hell. the monster walks through the portal as his eyes burn in red flames that burn upon his body and yet still lives for the fire was apart of him, slamming his fist down. The fire crackled out of his body sending waves of fire in every direction, for Kaos he knew what to expect he prepared protection wards against his comrades exception of a few who fell out of his favor they all seem to have died within the flames of hell itself. Bianca’s eyes remained shut as she took his hand in hers ,a cool breeze swept over her damp flesh that must have come in the window she had thought was shut, no matter she couldn’t think straight, refused to force herself too. This felt too good to make it stop now. He must have put the cloth down because once his hand was placed between her legs again she could feel the warmth of his fingers as he separated her.”More.” the words were forced, she had struggled just to get them out. He listened just as he had since she had taken him from that horrible place, but now it seemed different. Bianca whimpered once more as he applied more pressure his fingers moving slowly over her moist flesh. He must have stood without her noticing her body swayed again this time only coming to a stop as her face pressed against his chest where it would remain. Her right hand gently pressed against his belly slowly sliding up his body feeling his clothing bunching under her fingertips until it reaches his shoulder, her nails sinking into him as she cried out. Her belly tightened, her knees began to give out from under her only being kept from the ground by the grip he hand on her that seemed to tighten. Her body withered against his as she found her release, she needed him needed to taste him again. She places her other hand on his shoulder as well pulling herself up onto the tips of her toes gently pressing her lips to his neck preparing to satisfy herself even more. Bianca took in a deep breath inhaling his scent her eyes opening as well as her mouth as she lightly flicked her tongue against his flesh wanting to take him inside of her as many ways as possible. Her mouth quickly shut as her eyes widened taking in the dark skin inches from her, she jumped back only to find Kaos standing before her. As the fighting continued upon the village, the demon slaying just about everything in it’s path, leaving nothing but ash in it’s wake., slamming it’s fist down upon the ground causing flames of fire erupt some more causing the trees around the place to burst into flames as the village turned into rubble. The other soldiers continued there slaughter of the women and children….the rain continued to pound hard upon the ground as lightening streaked across the skies. The psionic Drow who summoned Bianca to there area as it rained harder the water being inches as she appeared before Kaos naked he had a look of shock upon his face, which normally remains calm. A smirk spreads across his companions face as he eyed her up and down; Kaos felt her skin up and down her legs caressing them as he reached between her legs licking his lips as he felt her soft skin. His companion looked upon his leader in astonishment and surprised on how casually he handled the situation; he was amused and yet impressed he could not help but to let out a chuckle at what he just saw. However, he knew better then to laugh in front of him directly as he regained his composure standing up straight he turns his attention back to the battle before him, as he dug deep within his mind waving his hands about lightning seem to crash down upon the cabins that remain catching them on fire as if they were alive. The hellhound that was summoned soon vanished back into his world after his destruction was over. Bianca’s eyes remained wide as she stumbled back wanting nothing more than to rip that grin from Kaos’s face just his presence making her blood heat more than it already was but the sexual desire being quickly replaced with rage. Her eyes narrowed as they quickly darted around taking in her surroundings as he spoke, struggling to cover as much of her body as possible. She could hear the screams from the slaughter taking place behind her even through the rain that seemed to pour from the sky, surprising her that she hadn’t noticed it covering the top of her bare feet before now. She had allowed herself to become too distracted, to get lost in a pleasure filled moment in time that she should have never let go that far in the first place. She could still feel him, his fingertips pressing hard against her body through the cloth as it traveled along her body, touching places that no other had before. Kaos looked upon her body eyeing her up and down as if he liked the view ‘’ Why I would think you would of preferred it better without cloths on? That is how you get them on there knees so you can ….’’’Bite them’’ a little chuckle escaped his lips at the thought of it. He has had many Drow females who always desired him and he was far use to this sort of thing. He motioned for one of the companions to approach him, producing cloths not the best of cloths in the worth. Some elfish females cloths perhaps ‘’ or perhaps we can arrange some other accommodations of your payment, information first then your payment. ‘’ with a snap of his fingers a Drow male came upon him bearing the jewels that she was promised. ‘’ You do not think I would not go through with my word, I am no iblith ‘’ he said calmly. Bianca’s eyes narrow into slits as she watches him approach holding the gems and clothing in his filth covered hands, she wanted nothing more than to rip out the throat that held his over inflated head upon his feminine shoulders if he had thought she had any desire to take sexual favors as payment he was sadly mistaken. She takes a step forward a low growl escaping her as she snatches the tattered material from him the owner clearly smaller than her in many ways forcing parts that she wished it would cover to over flow over the top only making it more pleasing to his eyes she was sure. Bianca quickly finished not returning her eyes to him until she has pulled everything into place as best as she could letting out a long drawn out sigh. “There was nothing difficult about it, maybe if you took your time and took note of the patrol schedule instead of rushing in like a mindless barbarian you wouldn’t have failed the first time. “She tilts her head to the side as she watches him. “There are four doors on the bottom floor just inside the entrance I am sure one will be the throne room, many doors line the hall upstairs your best bet would be to wait until the patrol prepares to switch out for the new shift and go in through the window on the right side of the palace. Subject: Re: a game called Cat and Mouse.